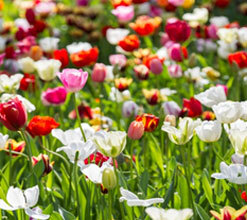 Spring is around the corner and the City of Armadale is giving visitors more reasons to visit our region with the Spring into Armadale campaign. This campaign is comprehensive and will be promoting all events in and around Armadale, Serpentine Jarrahdale and surrounds on www.springintoarmadale.com.au. We are offering you the opportunity to have your events promoted on this landing page as part of our campaign. So please log on to www.springintoarmadale.com.au and complete the details so your event can be included. Jarrahdale has been named an RV Friendly Town, becoming the 46th WA location to achieve the designation from the Campervan and Motorhome Club of Australia (CMCA). The RV Friendly Town program aims to encourage travellers to stop, shop and enjoy different areas, boost local economies, promote partnerships between RV users and towns, and expand tourism infrastructure and services. The new short stay area is near the corner of Jarrahdale Road and Kingsbury Drive and has a dumping point as well as space for about 30 self-contained RVs. The Western Australian Tourism Awards, now in its 44th year, are designed to recognise and reward business excellence within the Western Australian tourism industry. Every year tourism operators are encouraged to enter the Awards, providing themselves with the opportunity to be publicly recognised for their industry contribution and achievements over the past 12 months. The Awards are an online submission and site visit-based program that form part of the National Tourism Awards program. Gold Medallists in categories 1 – 25 will become automatic finalists in the Qantas Australian Tourism Awards and will represent WA at the Qantas Australian Tourism Awards in 2017. 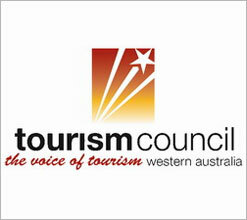 The Awards are open to all tourism-related businesses in Western Australia. With 32 categories to choose from, including festivals and events, adventure tourism, tours and transport, food, wine and accommodation, there is a category to suit every tourism business. Nominations are now open, with nominations closing on Wednesday, 8 June, 2016. For all the information on the 2016 Perth Airport WA Tourism Awards, visit the Tourism Council WA website. Registrations are now open for more great training workshops to be presented in Perth in May. These workshops are short, affordable and industry-relevant, and are suitable for both frontline staff and managers. • Strategic Marketing (May 10) – learn how to develop an in-depth marketing plan and strategise how to effectively deliver it to your customers. • Customer Service Way (May 12) – improve your revenue, repeat business and word of mouth marketing through improved customer service and selling skills covered in this workshop. • Tourism Boost (May 12) – this workshop is designed as an introduction and refresher course on the tourism industry and will give you a competitive edge in the growing marketplace. Click on the links above for more information, or to register. If you have queries about these workshops, please contact The Tourism Council at tcwa@tourismcouncilwa.com.au or call 08 9416 0700. The Bedfordale Connect Bush Markets are dedicated to the care of our environment through sustainable living. The Market promotes local produce, art and craft, organic gardening and upcycling along with a number of food and general stalls. They also feature nature based activities for the kids, so there is something for everyone. Have a cup of tea or coffee and a chat at the Residents Area, a place where the local community can come together. 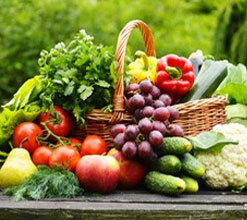 Next Market is Saturday April 23 – 8am-1pm. Markets are held every 2nd and 4th Saturday of each month. 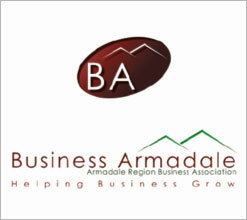 The Armadale Visitor Centre will be hosting a Business Armadale Showcase on Wednesday 15 June from 6.30pm. We would like to extend an invitation to six of our members to do a five minute presentation at the Showcase. 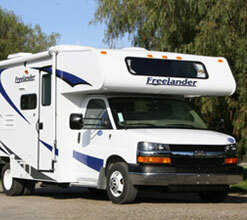 More details will be coming out in our May Newsletter. 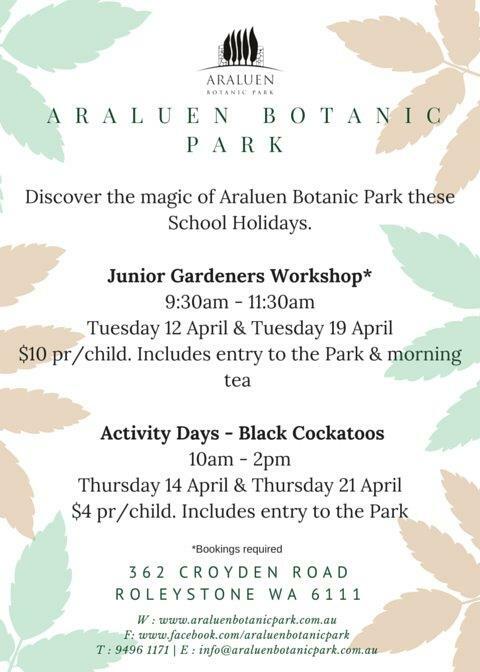 If you would like to register interest please contact the Armadale Visitor Centre 9394 5410 or email visitorcentre@armadale.wa.gov.au. The Armadale Visitor Centre would like to thank our current members for their continued support; Tony at Coranda Lodge, Joe and the team at Avocados, the team at Mandurah Boat Cruises and Jill Phillips of Phillips Galleries for their immediate membership renewal during our recent drive. Your Business is our Business. If you know any businesses that would like to be a part of the Armadale Visitor Centre please refer them to our Membership Liaison officer who can be contacted on 9394 5410 or email visitorcentre@armadale.wa.gov.au.